My Chess Apps: Chess Book Study v1.2 released!! 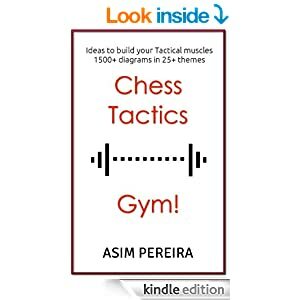 I am excited to release v1.2 of Chess Book Study with some important features. Move Left/Right: You can now move back and forth through the moves. Just tap on the left or right half of the board or on any empty square. Ebook Browser: Some of you mentioned that the ebook scanning operation in 1.0 can be slow and potentially shows a lot of pdfs (which may not be related to Chess). Now that is replaced with File browser so that you are in control! Move Notation: See last move notation next to the board. This makes it easier to know at what move you left reading once you start the app again. Great! I have just installed this new version w/ its improvements. Thanks a lot. I've seen that the modified version of ebookdroid is already in the market: good decission! The only thing that I haven't seen implemented is the fb2 file support in your ebookdroid customization. I suppose is intended to keep things simple. I am very happy that you liked the app and use it all the time. I used to read some chess when I'm train (every day) and at night before falling asleep ;-) Your app is perfect for that purpose. Something unthinkable until you have implemented such a great idea. 1. Taking "en passant" does not work for me. I think you should implement a rule for that specific case. Ah, sorry about the enpassant issue. I just noticed it does not work for one side. Will surely consider the save pgn feature. Btw, which chess book are you currently reading? I'm currently reading different texts. - A chapter from Rowson, Seven Deadly Chess Sins. I made some photos and convert them to pdf for my personal use. I have an obvious preference for pdf versus other formats. Why? I love books and pdf is the only format that preserves the original design. Sadly, I am not able to follow with complete accuracy a chess game and its variations without a chessboard. Otherwise, pgn readers are excellent to view moves, but disappointing to read big chunks of text. I have been searching for a solution to my needs. The best I know is an ipad app (http://www.eplusbooks.com/index.php/home). Problem1: I have to buy an ipad only for that, and I don't like that closed iOS ecosystem. Problem2: Few titles. Chess major publishers are currently engaged in two trends: delivering pgn/cbh versions of their books (Everymanchess) or kindle (drm protected epub) versions (Everymanchess, Gambitchess, ...). Anybody bet on pdf. Being a casual programmer myself, I have been thinking to do something. But I don't have enough time nor enough competence. You have developed the tool to read available texts. The other part of the problem is to have more texts, without resorting to piracy. For example, the pgn file format is well documented. Some programs (scid for linux) include a converter pgn2pdf, but it is not lack of problems. It relies, as far as I remember, on the skak LaTeX package, but xskak is more versatile, and there are other recent CTAN packages to investigate. Other path would go from html (or epub xml) to pdf. Another one would be to develop a pgn reader with a completely enhanced text rendering system. So, a lot of things to think about. At the moment your app is great for me. I remember there is not a direct pgn2pdf converter in scid, as I said before, but a pgn2ltx (PGN to LaTeX) converter (At this moment I have no access to my Linux machine and I can't verify it), but the outputted *.tex file can be then converted by the user via pdflatex. A direct converter was certainly present in a new proposed descendant of scid (scidb, currently in beta), but I have no access to the new realease of scidb anymore, because it seems that this release has compatibility problems with the recent ubuntu version installed in my computer. The file format for Kindle ebooks is actually not 'epub' but 'mobi' (though it is easy to convert mobi to epub), and more recently Kindle Format 8 (with support for html5 and css3). I guess many if not all of the chessbooks available from amazon are yet in mobi format. I am amazed by your knowledge; I did not know this. Thanks for sharing! Nah! Only words and unordered ideas, not a real thing. Here (you know) only the code is real ;-) So, happy coding! 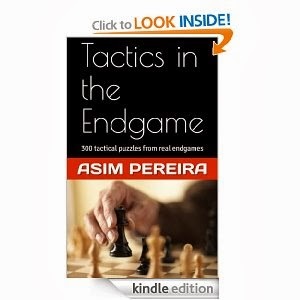 I have been thinking of converting my Tactics pgns to ebook format. Tried with different latex installations, but the final mobi/epub file is far from perfect. Conversion to pdf works just fine, but then the final conversion to mobi/epub goes for a toss. Do you have a good method of converting PGN to ebook? Moving the pawn only one step instead of two is other simple trick to deal with this issue. I know, it is not the move in text, but it works until you fix the bug. Been using this software for about 30 minutes now and still can't figure out how to open a book?